Jazz Guitarist. Attorney. Fisherman. Musician. Easy Street 2001 - present. The first person in Alaska told the statehood act was signed. I am a retired attorney , fisherman, and musician. I lived in Seattle with my parents Jim and Inez Gregg until 1939, when we moved to Juneau. I left high school, enrolled in the merchant marine and shipped out in 1945 on the 24-year old 457 foot Union Oil tanker La Placentia to the Philippines. I served on various ships until 1946. I returned, graduated, and married my childhood sweetheart Lily Maurstad in Seattle in 1947. I made a living as a jazz guitarist until returning to Juneau in 1949, where I was a commercial fisherman and later became an attorney. Lily and I had three children: 1. Author Susi Gregg Fowler <http://susiGreggFowler.com>, who lives next door with her husband, artist Jim Fowler <http://jimfowler.us> 2. Attorney Janice Gregg Levy, who lives less than a mile away with her husband Judge Keith Levy; and 3. Son Walter Gregg <http://w-gregg.juneau.ak.us>, who lives two blocks from here. Lily and I were married for 45 years before Lily's death at the age of 63 in 1992. When I was 67, I met and married Anna Chase of Gustavus. She moved to the Juneau Pioneers' Home in 2011. You can contact Anne care of her daughter Sylvia Pedersen of Gustavus via anne "at" gregg.juneau.ak.us. I have six grandchildren and nine great-grandchildren. February 29, 1928 is the closest leap day to my birthday. My Google+ profile - Site:plus.google.com/117176557532230178481/about. 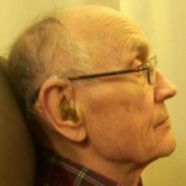 Douglas Gregg's Website - Site:gregg.juneau.ak.us. 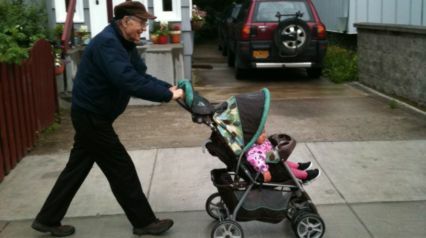 juneau.org: Gregg, Jim & Inez - By Douglas Gregg. Site:juneau.org: Gregg, Jim & Inez. Lora Lee, by Inez Gregg - A love song based on the Loralei legend (Lyrics, with link to recording). Site:gregg.juneau.ak.us: Loralee. Lora Lee by Inez Gregg - Sound recording. - A love song based on the Lorelei legend (sound recording, Jim Gregg on violin, Douglas Gregg on guitar, in audio/mpeg (MP3) format). Site:gregg.juneau.ak.us/2013/loralee-sound. Welcome - Susi Gregg Fowler - Children's books, essays, poetry, by Alaska Author Susi Gregg Fowler. Site:susiGreggFowler.com. Alaska Plein Air Landscapes - Jim Fowler, landscape painter and children's book illustrator. Examples of work, prices, and artist information. Site:jimFowler.us. Walter Gregg's Website - Notes. Site:w-gregg.juneau.ak.us. Clan Gregor - "Clan Gregor or MacGregor is a Highland Scottish clan." Site:en.wikipedia.org/wiki/Clan_Gregor. English Wikipedia / wikipedia. - The free encylopedia that anyone can edit. Site:en.wikipedia.org. The Christian Science Monitor / csMonitor - An international news organization delivering thoughtful, global coverage. Site:csMonitor.com. Science News. - Features weekly articles, archives to past issues, and timelines of scientific importance. Site:scienceNews.org. Open Directory - Regional ... Juneau - Sites relevant to the city of Juneau. Site:dmoz.org. Juneau Webcams - KINY radio - Click on photos or compass points for access to the webcams... Site:kinyRadio.com. The Juneau Daily News / KINY radio - Established March 13, 1995 - Alaska's First Online Newspaper. Site:kinyRadio.com. Juneau Empire. The website of the Juneau Empire, the daily newspaper of Alaska's capital city. Site:juneauEmpire.com. Juneau Forecast Office / NOAA - Weather observations, forecasts, warnings, climatology, meteorological information. Site:pajk.arh.noaa.gov. Pacific and Alaska Tsunami Warning Center / NOAA - Official U.S. government warnings, tsunami hazards, and information about seismology. Site:wcatwc.arh.noaa.gov. KTOO - Public Media from Alaska's Capital - News. Site:ktoo.org. Anne's Gustavus Recollections. - Anne's Gustavus recollections. Site:en.wikipedia.org. gregg.juneau.ak.us/info/dlg - Permalink: Douglas Gregg - personal profile. Personal profile for Douglas Gregg, Juneau, Alaska patterned after Google Plus profile, the old fashioned version of a personal home page. Copyright © 2013-14 Douglas Gregg. All Rights Reserved.